At Kitsteinhorn you will experience surreal highalpine moments. A wonderful natural spectacle. 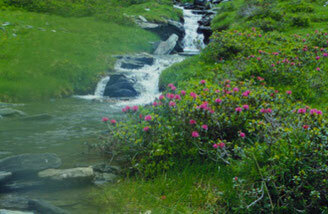 It offers endless possibilities for hikers and unforgettable hours. Kitzsteinhorn promises exciting themes and quality of the highest standard. During summer always a great starting point for mountain-hungry hikers and "mountain newcomers"
You are looking for the contrast to the hustle and bustle of your hectic time, like to recover and recharge with pleasure and yet not give up active holidays? You are planning a company outing or a company event - maybe even a company workshop? Then you are exactly at the right place! 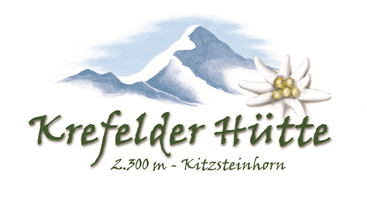 ...2.300 m above everyday life, but still active and relaxed - possible with us at Krefelder Hüttte. We offer a suitable setting for individualists, groups, clubs, families and corporate events. We can create special, flexible and individual offers - just call or email us! Whether if you are on your own or in guided groups - we gladly support every mountain enthusiast in his/her planning. Vacationer from the valley can now drive with the "Zell am See / Kaprun Card" for free onto Kitzsteinhorn. 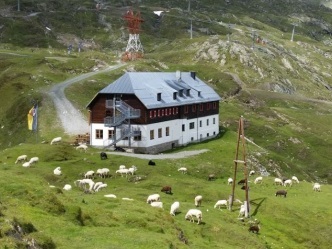 ....and then visit Krefelder Hütte. 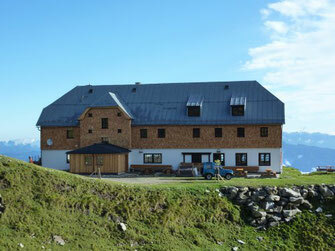 Just drive up to the Alpincenter and go downhill towards the middle station Langwied - after about 15 minutes you will find on the right hand side our beautiful hut for a relaxing and beautiful stopover! Fresh draft beer and delicious Austrian specialties are waiting for you and will be served in our cozy dining lounge, or on the sunny terrace, where you always will be served by a friendly face!